$25 Off Repairs $25 off repairs $100 or more. One coupon per visit. Not valid with other offer or special. "Great service and always dependable delivery times and fair prices." We always strive to make your automotive experience as HASSLE FREE as possible. You can always use our website or call us to schedule your service in advance for maximum efficiency. Great news! We can perform any service, on any make or model, all while keeping your warranty valid. Except for original factory warranty and recalls, YOU NEVER HAVE TO GO BACK TO THE DEALER. Please check our website periodically to see which new offers are available to you. We always have special offers posted, and try to make offers available that will address your most common automotive needs. * Speed of Service-Our goal is same day service! * Shuttle/Loaner Car-So we can better serve you! 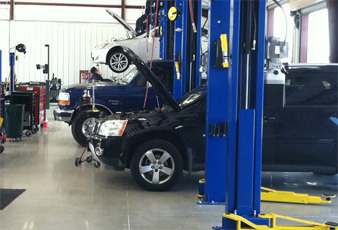 West Lake Houston Automotive is a family owned and operated full service auto repair facility. We have been servicing the Kingwood since 2006. Our mission is to provide unsurpassed quality auto repair with exemplary service. Our facility is equipped with state of the art computer technology in order to diagnose and repair your vehicle.